I’ve been wanting to break the code on what it takes to sit with the cool kids since I was 35 (didn’t matter so much before). Countless professional development books, articles, newsletters and (free) courses point a budding entrepreneur toward networking, pitching, and generally “getting out there.” Then, tossing the essential social media into the mix, blehhhh. Networking and outreach efforts are resembling talent shows and popularity contests more each day. So as I hope for Ancestors unKnown to be noticed within a sea of noticeable work, I’ve occasionally wished for a louder voice and bolder approach. And maybe some street cred? Short of changing my personality from introvert to extrovert, and significantly upping my coolness factor, I’ve been looking for input on how to play a better entrepreneur game. One consistent piece of advice: be a speaker. If you give talks and host workshops, you build and share expertise, gain an audience and credibility, and (appreciated bonus!) earn some money. I haven’t been doing much traveling recently. I’m pretty much staying still in my modest, rented apartment in Paramaribo, Suriname. Having placed myself on a tight weekly budget, and with lots of work to do, I figure as little movement as possible is my best option. Now you’re probably picturing me locked in a room, trying to turn straw into gold. If so, you’re not far off. It’s just…where’s Rumpelstiltskin when you need him? 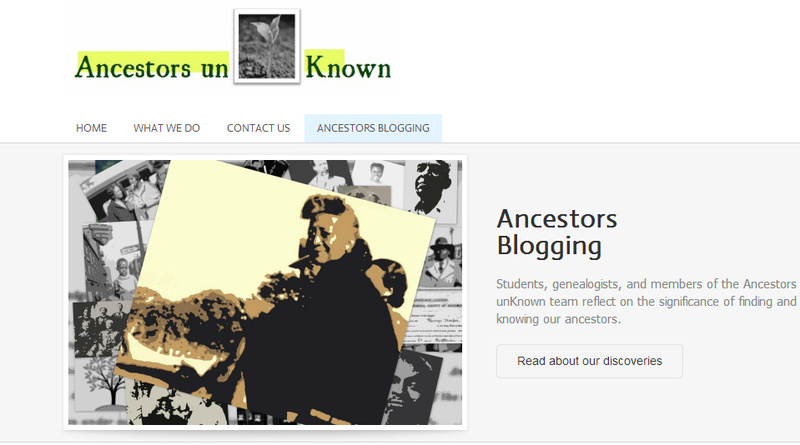 So I’m here working on the nonprofit startup, Ancestors unKnown. Maybe you’ve heard about it? Introducing young people to family history research and the commonly overlooked history of the African Diaspora. That’s the vision. And it’s definitely becoming a reality, beginning here in Suriname and Charleston, S.C.
Ladies and Gentlemen, Dames en Heren, I’m proud to introduce you to my brand new organization, Ancestors unKnown. 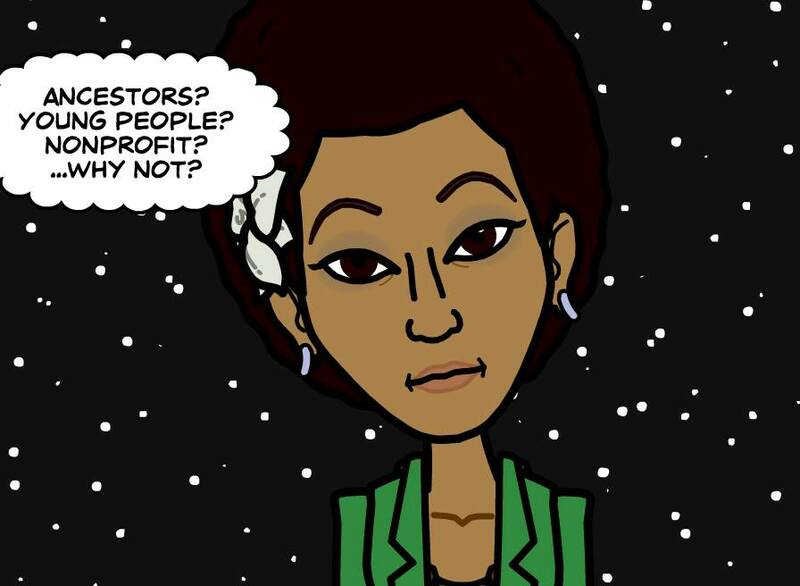 Ancestors unKnown introduces young people in the African Diaspora to new perspectives on their histories. We combine a Black history-based curriculum with genealogy/family history research, working in partnership with local organizations, historians, and genealogists. Beginning in the U.S. (South Carolina) and Suriname, Ancestors unKnown is an international organization. So in the years to come, I hope to introduce our work and serve communities on multiple continents and islands. This is still the pilot stage. I want to make lots of changes and additions to the website. And there is so very much work to be done just to stay on track. But I figure it’s about time to let folks in on the adventure in less cryptic ways. …could a family that survived the trans-Atlantic slave trade and generations of slavery in the Americas really have left behind no memories? No stories to tell? No lessons to instill? I believe this to be an assumption worth challenging. And sure enough, digging into some archives revealed tremendous stories waiting to be told, and remarkable ancestors who deserve to be remembered. I believe everyone has a right to this empowered feeling of knowing her own history, or at least part of it. 3.5) Eventually I’ll figure out the Twitter thing. So I’ll be asking you to follow me there at some point too. 4) After all of that, tell me what you think. Critical feedback is always appreciated. Sheesh. Feels like I just walked outside wearing my brand new big-girl-pants. But the big ‘ole automatically-locking door just shut behind me. And I may or may not have forgotten my key. Big-girl-pants, don’t fail me now. There’s no turning back!